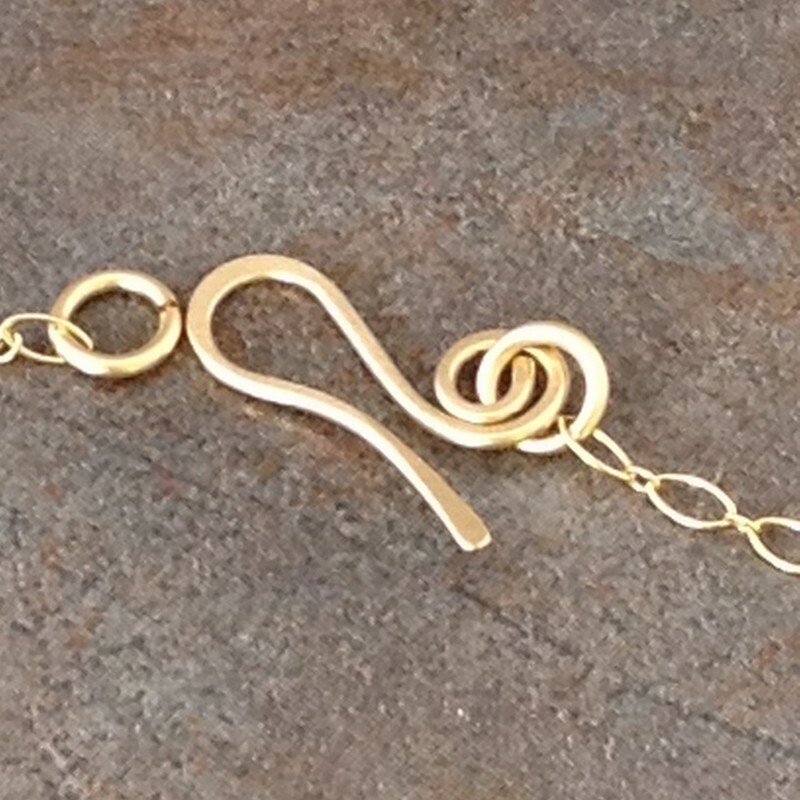 14k gold filled wire is twisted to form a necklace that is reminiscent of vintage royal jewelry. 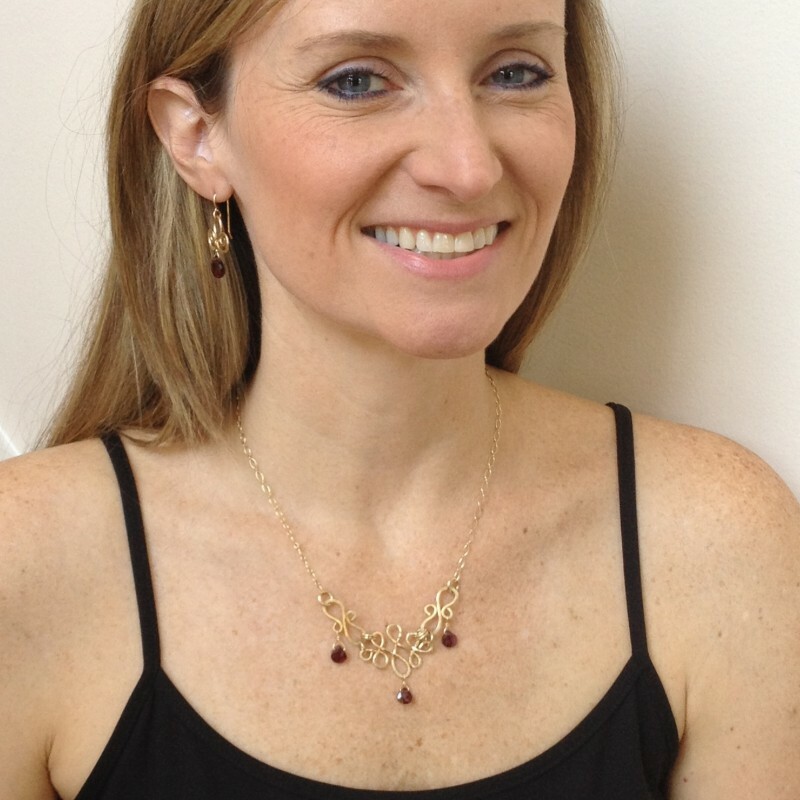 The garnet briolette drops add a touch of elegance and depth. 14k gold filled heavy gauge wire is hand formed and hammered. 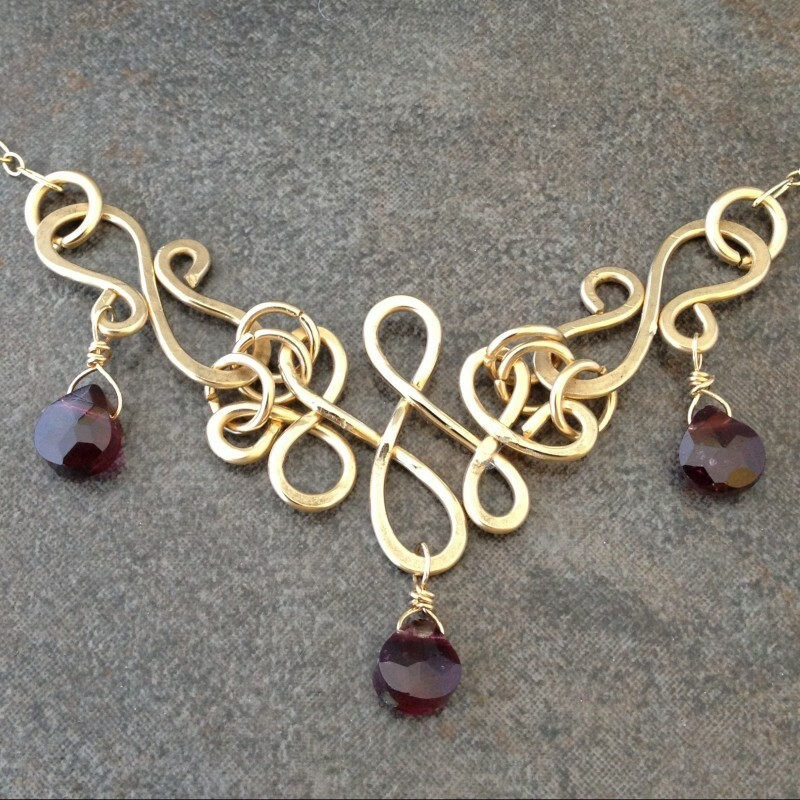 The piece is inspired by vintage royal jewelry. 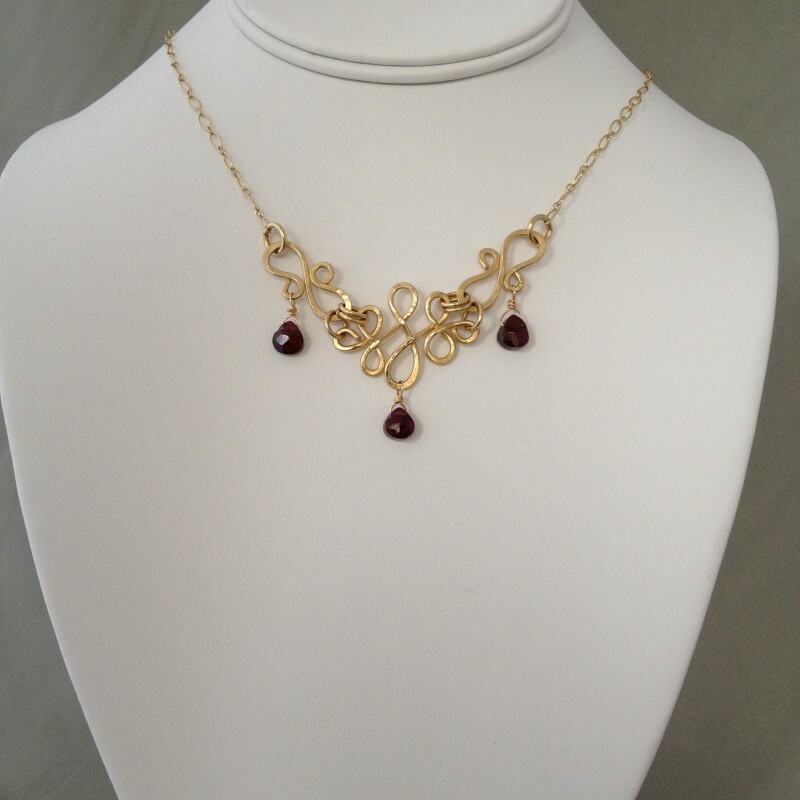 The deep reddish-purplish color of the garnet drops is accentuated by the rich gold color of the metal and adds warmth and elegance to the necklace. 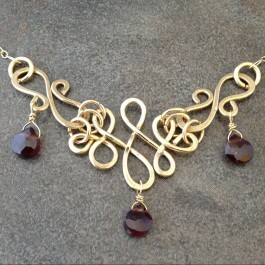 The clasp is handcrafted 16"-18" long.